In a successful Company, people share a sense of purpose and Motivation, working together intensively to turn the Company's Ambition into reality. Such an environment has enabled DISIPL Tech. to be a distinguish itself as a value distribution partner both to the principals and the channel partner. We believe that honesty, open two-way communication is essential to a Productive Work Environment and therefore we encourage Employee to take things over with their Managers. Fresh MBAs typically join DISIPL as Management Trainees normally for a period ranging from six months to one year. Management Trainees are given a high level of Cross functional and channel exposure with a view to make them well groomed to cater to the need of the Organisation. The next level in the development path is that of the Dy Manager/ Manager. They have the primary responsibility of managing the team. This includes day to day channel interaction, Business Development and Planning. Sr. Managers are also expected to play a significant role in Channel Relationship and new Business Development. At DISIPL we believe that our success is down to the people, who made DISIPL what DISIPL is now. 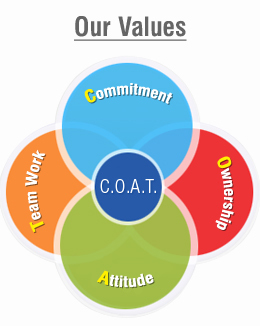 We are a dynamic Organization and reward our Employees for teamwork and Collaboration. It is this spirit of cooperation that enables us to offer exciting work, a positive Environment and a Consistent Recognition. DISIPL works in teams. The teams meet on a regular basis to plan, Brain-Storm, review deliverables and tackle any issue that affects progress of the Business. The HR Process Life at DISIPL Enable employees articulate their long term goals, both Professional and Personal. A conscious effort is made to align opportunities with individual skills, Aptitude and Objectives. This way, DISIPL provides talented Professionals with unmatched Opportunities to pursue their individual interests, be it sector specific or function specific, and realize their dreams.